Need a more natural alternative to antibiotics? Here are seven powerful essential oils that naturally fight off bacteria. Many essential oils are powerful enough to fight off infections and kill harmful bacteria, making them a great natural remedy for keeping yourself and your home healthy. 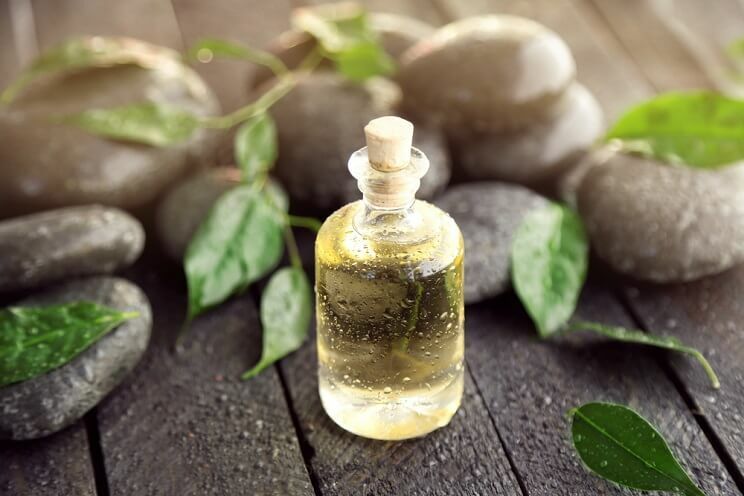 Studies have referred to essential oils as “the new antibiotics,” and show that certain essential oils are just as powerful as OTC medication for treating infections such as bacterial vaginosis (BV), and conditions caused by the staphylococcus bacteria, such as skin infections and urinary tract infections (1, 2, 3). With antibiotic resistance on the rise, using essential oils to treat bacterial infections may be a healthier, more effective option. Here are seven antibacterial essential oils, and how to use them. Tea tree oil is made from the leaves of the tea tree plant, which grows in Australia. It’s been used for centuries to heal burns, cuts, and scrapes, thanks to its antiseptic properties. It is also effective for eliminating oral and acne causing bacteria, and can naturally disinfect things in your home, such as toothbrushes, the inside of your washing machine, and bathroom countertops (4, 5). Although it’s safe for your skin when properly diluted, tea tree oil is extremely potent and can burn when it’s applied. So be sure to dilute a few drops in water or a carrier oil, such as coconut or jojoba oil, before using it on your skin. To use tea tree as a natural household disinfectant, add 3 drops of tea tree essential oil to a glass spray bottle with 1 cup white vinegar, 1 cup water, and 3 drops of lemon essential oil. Tea tree oil can also be added to homemade toothpastes made from baking soda. A drop can be added to oil when you oil pull for extra antibacterial action – be careful though, it’s strong enough that all you need is 1 drop. 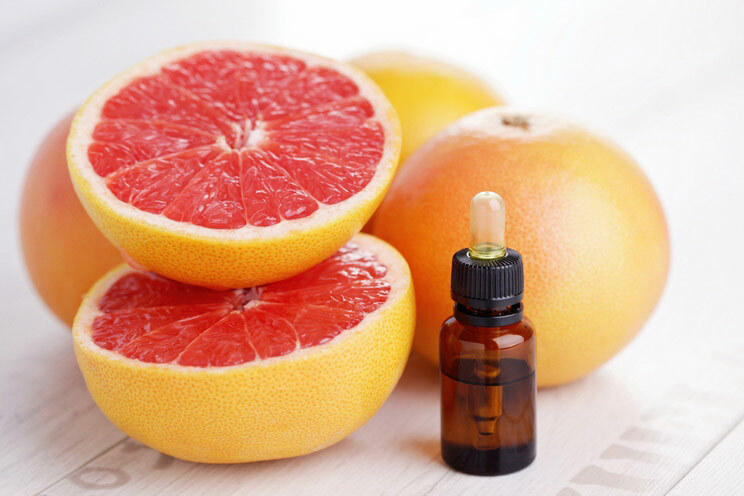 Research shows that grapefruit essential oil is effective for killing off bacteria such as staphylococcus aureus (one of the most common strains of bacteria that causes infections), salmonella, and E. coli (6). Be sure not to confuse grapefruit essential oil with grapefruit seed extract, as grapefruit essential oil comes from the peel of the grapefruit, not the seeds. The most common way to use grapefruit essential oil is to ingest it, by adding 1-2 drops (or as recommended by a healthcare practitioner) to your water. You can also apply it topically to your skin when mixed with a carrier oil, to fight skin infections, and prevent wounds from becoming infected. Just be sure to avoid the sunlight after applying grapefruit essential oil. Citruses can make your skin very sensitive to the sun’s UV rays and can cause burns. 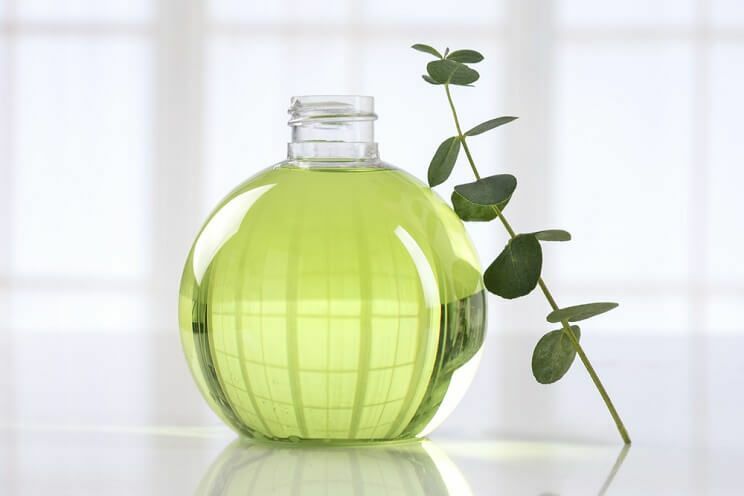 Ask any nutritionist which natural remedy they have on hand during cold season when bacteria runs rampant, and they’ll probably say oregano essential oil, or oil of oregano. 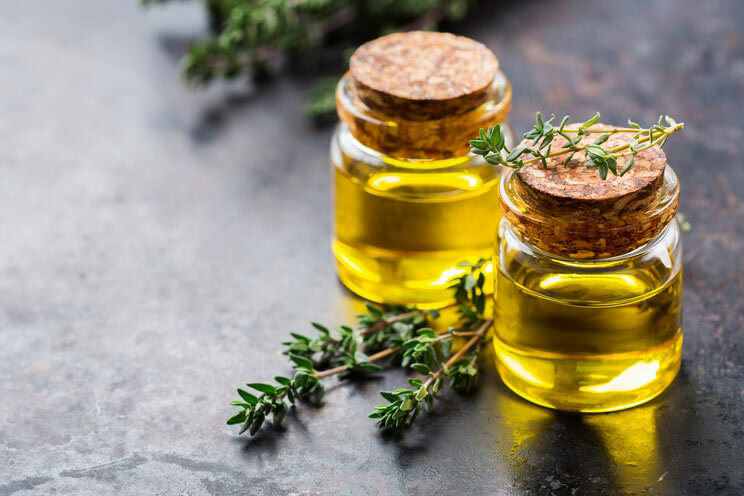 As a quick note, while these two oils sound the same (and have the same health benefits), oil of oregano is the diluted version of oregano essential oil – usually with a food grade carrier oil – so that it’s safe to ingest. In other words, oil of oregano is the form you’ll want to use if you’re applying it topically or ingesting it. Studies have shown that oregano essential oil is effective against 20 different strains of E. coli and pseudomonas aeruginosa, the pathogen known to cause cystic fibrosis (7, 8). Oregano oil has also been shown to reduce inflammation in the gut and to aid in digestion. Oregano oil can be added to your favourite recipes, or taken as a nutritional supplement. Since oregano oil is known to interact with certain medications, be sure to consult with a licensed healthcare practitioner to determine the safest dose for you. 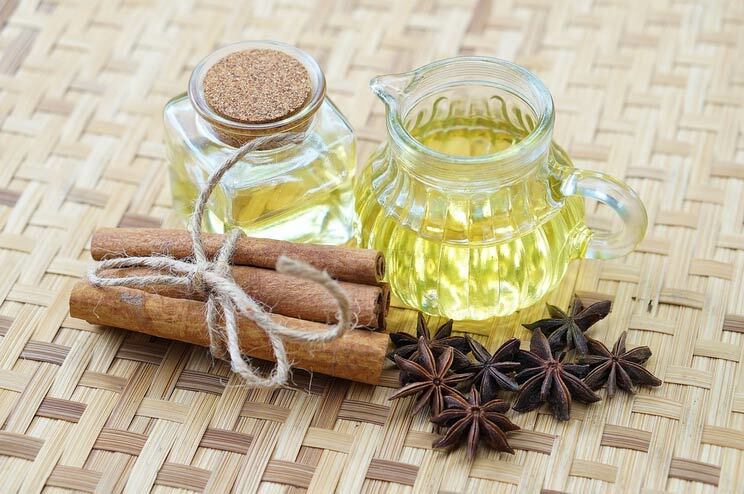 In one study, compared to thyme and clove oil, cinnamon essential oil was shown to have the strongest antibacterial activity against infectious diseases caused by pathogens and germs found in food (9). Other studies revealed that cinnamon essential oil has activity against Gram-positive bacteria (such as staphylococcus) and Gram-negative bacteria (such as E. coli) responsible for human infectious diseases, as well as bacteria that cause degradation of food or cosmetics (10). Cinnamon essential oil is safe to ingest and has a pleasant taste, so you can add a drop to your herbal tea, or another warming beverage (like this tasty Turmeric Latte). You can also add it to your baking, homemade toothpaste, deodorant, mouthwash, and for oil pulling, which may help eliminate bacteria that cause oral and digestive issues. 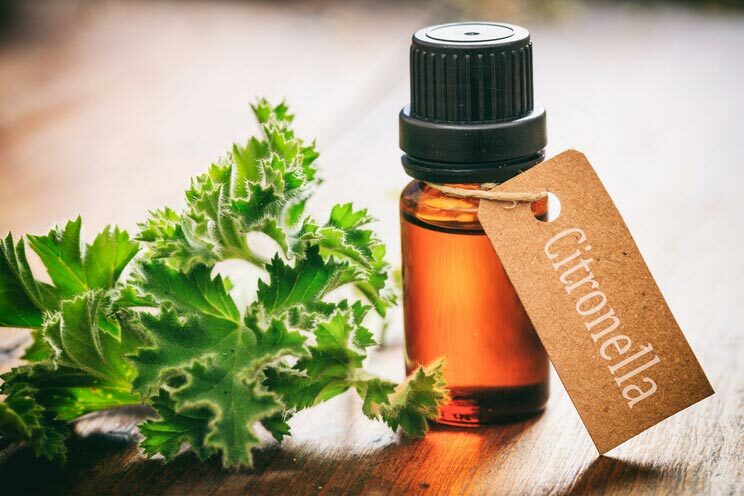 Citronella oil is best known for being an effective natural insect repellent, but it’s also shown to protect against systemic bacteria – for example, bacteria in the digestive tract – which can lead to infections in the colon, stomach, intestines, and kidneys (11). Citronella can also help prevent bacterial infections on your skin from wounds or cuts. Citronella essential oil is safe to ingest in very small doses and can be added to aromatic beverages such as herbal tea (be sure consult a healthcare practitioner for the correct dosage). When using citronella on your skin, be sure to dilute it with a carrier oil, such as jojoba or coconut oil. Eucalyptus is best known for clearing up symptoms of the common cold, such as a cough and runny nose, as it helps your body eliminate mucus and bacteria from your respiratory tract. As with the rest of the antibacterial essential oils mentioned, eucalyptus also has an inhibitory effect against Gram-positive and Gram-negative bacteria, which means it can protect against food borne illnesses, and other infectious diseases that require the use of antibiotics (12). You can soak up the health benefits of eucalyptus essential oil by adding 5 drops to a warm bath, or inhale it by placing a few drops in an oil diffuser before bed. We mentioned above that studies have shown certain essential oils to be powerful enough to help clear up bacterial infections as efficiently as antibiotics. One study used thyme essential oil in bacterial vaginosis treatment, and found it effect for getting rid of recurrent episodes of BV, making it an ideal alternative to antibiotics (13). 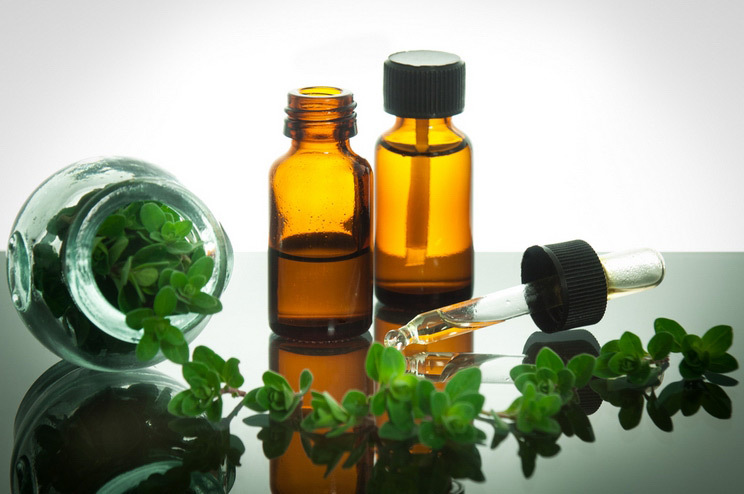 To fight infections, dilute 1-2 drops of thyme essential oil with a carrier oil and rub onto the affected area. As always, be sure to check in with a healthcare practitioner before adding a new essential oil to your wellness routine. They should be used with caution, the same way as you would nutritional supplements, since they’re extremely concentrated and may interfere with pregnancy or pre-existing health conditions. A good rule of thumb when it comes to essential oils is that less is more. So make sure you use high quality essential oils and to dilute them with a high quality carrier oil like coconut oil.